Since the beginning of SketchDeck clients have asked us to design their fundraising pitch decks. We've now worked with over 200 companies to help them impress investors and raise capital for their businesses. We've learned a lot about how to make a good pitch deck: how to impress investors, how to showcase your story and how to be compelling. We've analysed the pitches we've worked on and here share some of the results. We've aggregated and sampled the data sufficiently to ensure complete client confidentiality. We'll show you the trends, but nothing specific to a single client's pitch. As far as possible we've used publicly available information on fundraising outcomes for pitches we've helped with. 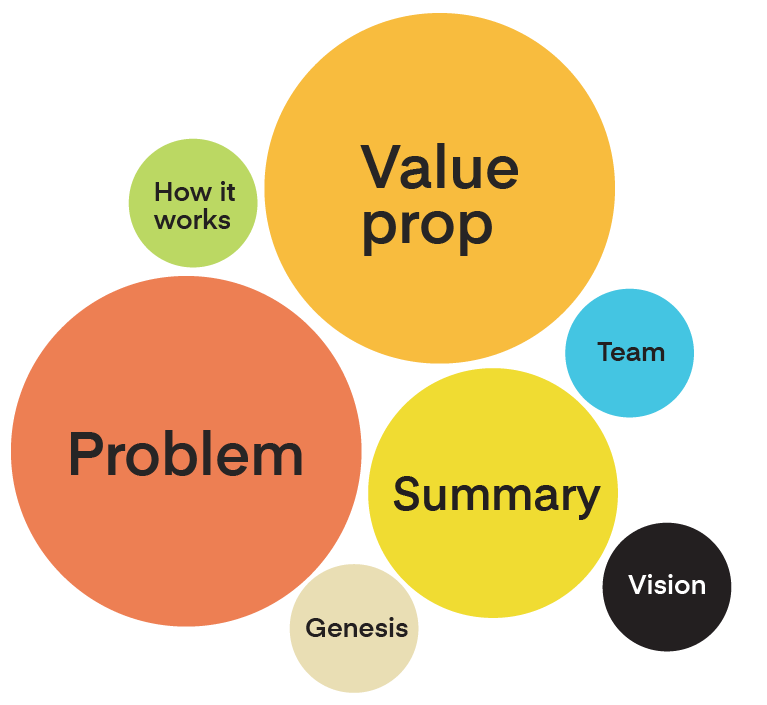 "The first thing an investor will see about your company is your pitch deck. Poor design is a turn off for investors, it will confuse your company's value from the very beginning." However there is no single correct first slide ‐ what matters is that the story is authentic and personal to you. 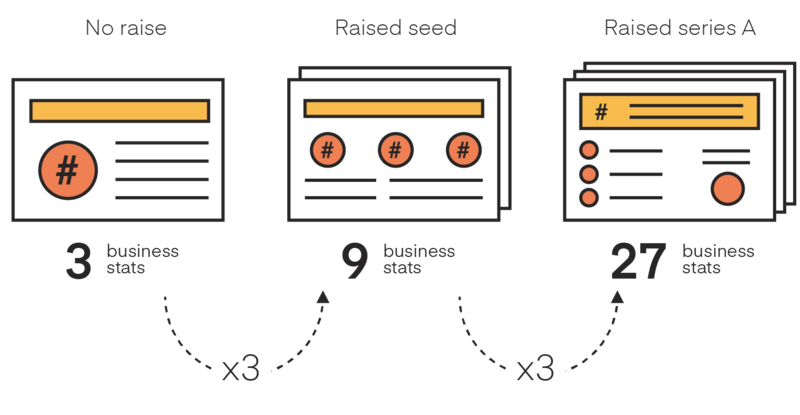 At seed stage companies are often still seeking product market fit and therefore cannot go into as much detail about their businesses. At series A companies are required to make a much more concrete argument for their future success, which translates into more pages of graphs and tables. "We made sure [our pitch deck] was clean and modern, but all of our effort was in putting red pen to paper and editing down the story to the few, important points that made the business matter." YC decks tend to focus more on the growth statistics of the business, and convey them visually as numbers or graphs. This trend is most extreme in day pitches ‐ slides have almost no words and often contain just one big statistic or graph. Whilst pitch decks tended towards a conservative tone, we've seen successful pitch decks in all colors and styles. Some series A decks used a lot of color, illustration and interesting typefaces, and were successful because this reflected their brand and mission. All the founders and investors we asked agreed that design has a positive impact on fundraising. However, design will not make up for inadequacies in the business or content: the first step to any pitch is building and refining the story. "As an investor, having a well designed deck is critical. If I’ve never met the founders and a mutual acquaintance first put us in touch, it is the deck that acts as the first impression and hence, it is very important to make it count. A poorly designed deck makes me feel like the founders don’t take pride in their work. A well designed deck is able to communicate clearly what the company is doing and why I should be excited to take the first meeting. So never discount the importance of spending time to get the best design possible for your deck. It will only increase the likelihood of getting in front of investors." The best pitch decks we've seen are concise, beautiful, share their growth through numbers and charts, and are true to their brand and story. If you're creating a pitch deck, we can design it for you.